The headline pretty much says it all. 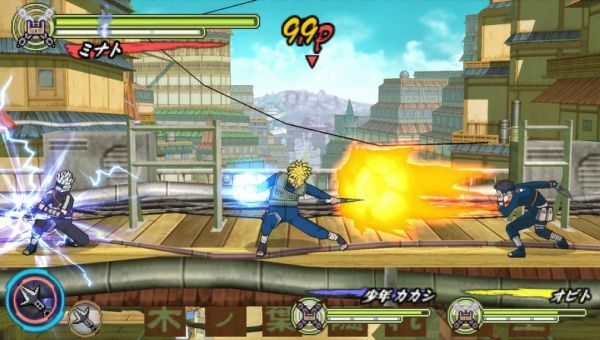 While Naruto Shippuuden Ultimate Ninja Heroes 2 didn't have co-op, the third game will. And...that's really all we know about the title because no one on the staff has a fig of an idea what the heck this is. Seriously though, from what I can gather it's sort of a fighting game mixed with an adventure game in a pseudo beat em up style. You play spiky haired anime characters against dark clothes wearing non spiky hair characters. There's karate kicks, there's explosions, and there's giant balls of blue energy. The upcoming PSP title is said to have a strong focus on co-op with over 50 characters to choose from. There's even special co-op moves available - like the spiky blue ball of fury. I just made that up. Page created in 0.5536 seconds.